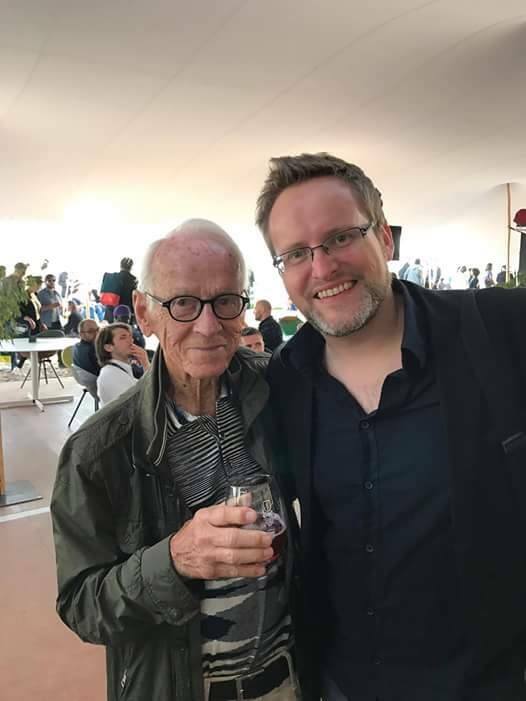 Just as hordes of film music fans and IFMCA members gathered in Krakow for the Krakow Film Music Festival, the European Film Music Day was hosted on the terrace of the record store FNAC in Cannes, smack in the middle of the Cannes Film Festival. As usual, the event was a mix of seminars and networking for fans and industry professionals. 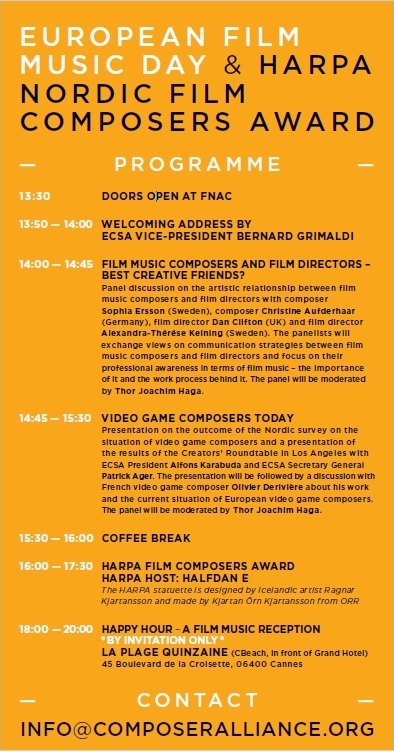 The event itself is a collaborative effort between – among others – ECSA (The European Composer and Songwriter Alliance), various Nordic composer societies and the independent Cannes festival section Director’s Forthnight. It’s also a continuation of a related event during the Berlinale in February, where the award nominees were presented. After a brief welcoming address by ECSA vice-president Bernard Grimaldi, the first 45-minute seminar dealt with the relationship between composer and director. 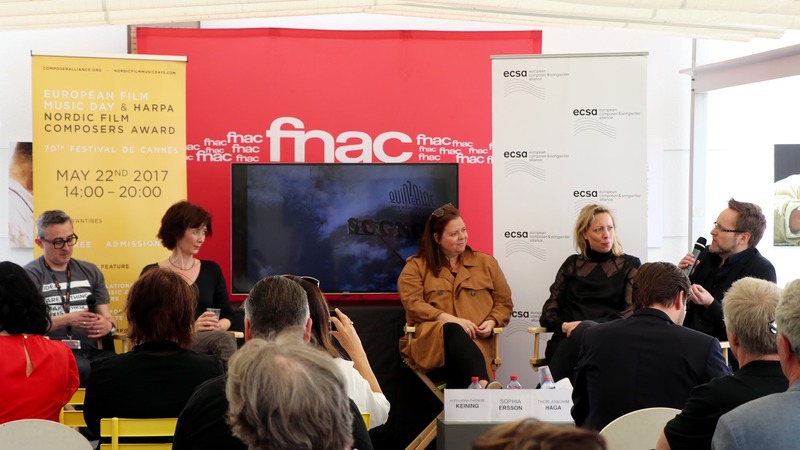 Guests of the panel were Swedish director Alexandra-Thérése Keining (Kiss Me, Girls Lost), Swedish composer Sophie Ersson (Girls Lost), Swiss composer Christine Aufderhaar (Tatort, Jargo) and British director and chairman of FERA (Federation of European Film Directors) Dan Clifton. The discussions centered on the various stages of film music production, the composer’s awareness of film music, the liberty attributed to composers during the composition process itself and the type of language employed in the communication. The second panel was all centered on game music. First was a presentation of a recent Nordic survey mapping the conditions of Nordic game composers – focusing, in particular, on their backgrounds and their copyright issues (such as buy-outs and self-management). In the panel were ECSA president Alfons Karabuda and ECSA secretary general Patrick Ager, who also presented findings from a recent Creator’s Roundtable discussion in Los Angeles. 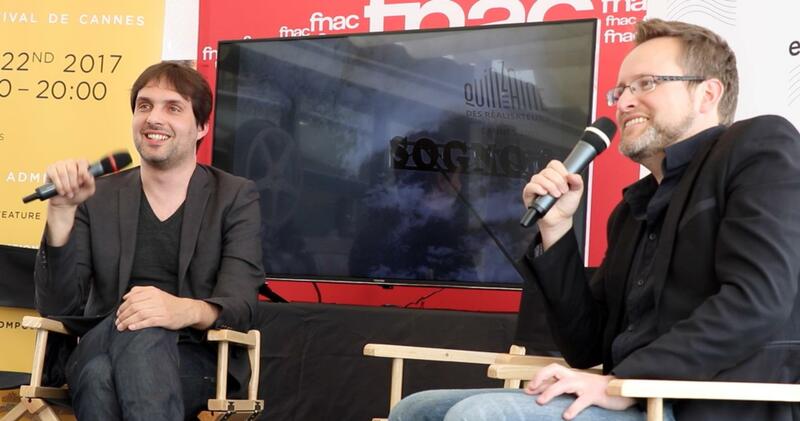 The second part of the panel was a one-on-one conversation with French videogame composer Olivier Derivière (Alone in the Dark, Assassin’s Creed, Remember Me), not only about his career and work, but also about understanding the mechanics of game music in general, as opposed to film music. Both panels were moderated by IFMCA member Thor Joachim Haga, who also co-hosted the event and was in the Norwegian jury for the upcoming award ceremony. 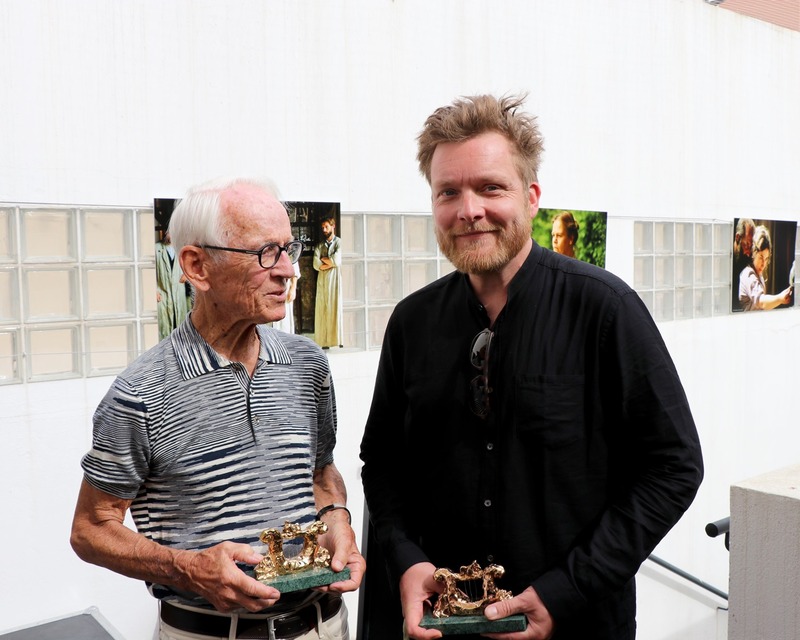 The winner was selected by an international jury consisting of composers Bernard Grimaldi, Christine Aufderhaar and Laurent Eyquem, and subsequently announced as Sune Martin for the Oscar-nominated movie Under Sandet. 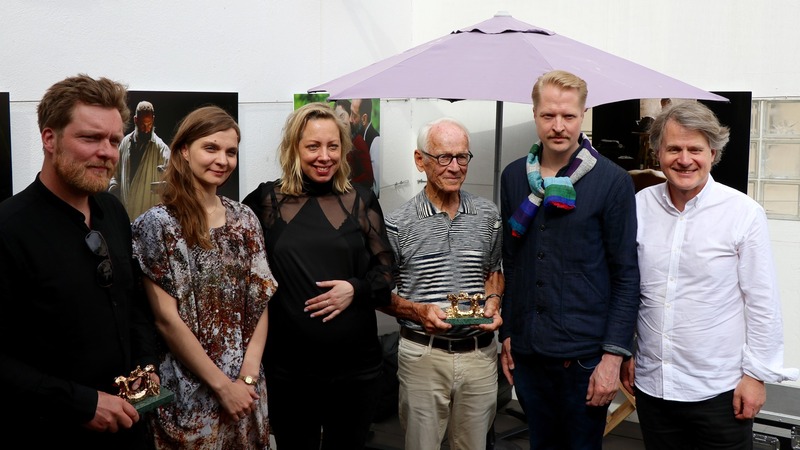 Denmark also dominated the other award, the Lifetime Achievement Award, as 92-year-old legend Bent-Fabricius Bjerre (Olsenbanden, Pinchcliffe Grand Prix, Alley Cat) was welcomed on stage by his Danish colleague Halfdan E and Norwegian NOPA chairman Ingrid Kindem to receive the award designed by Icelandic artist Ragnar Kjartansson. Amazingly, Bjerre is still active as a composer and soon has a new movie out. After the formal proceedings, everyone gathered at La Plage Quinzaine by the beach for two hours of informal networking. Other composers, directors and industry professionals – both from the Nordic countries and elsewhere – were also present. After the mingling party, some of the participants attended a special film music gathering hosted by Soundtrack Cologne at the market area of the film festival. Although this may be a smaller and less star-studded event than many film music festivals around the world, it nonetheless provides a valuable window for Nordic industry professionals, in particular, cementing the musical relationship to two of the most important film festivals in the world (Berlin and Cannes). It also exemplifies IFMCA’s ubiquitous involvement in film music events at all levels. Click on the thumbnails for larger images. Photography by Niklas Schmidt.